The Kapamilya network's primetime newscast, TV Patrol World, was adjudged Students' Choice of Local News Program while its anchors, Julius Babao and Karen Davila, were chosen as Students' Choice of Male and Female News and Public Affairs Hosts. The daily talk show Boy & Kris, hosted by Boy Abunda and Kris Aquino, was named Best Variety Talk Program; Pinoy Big Brother Season 2 was declared Students' Choice of Reality Show; Maalaala Mo Kaya as Students' Choice of Drama Program; and That's My Doc as Students' Choice of Sitcom. ABS-CBN's Sunday showbiz-oriented talk show The Buzz won as Most Popular Entertainment News Program while ASAP '07 was chosen as Most Popular Variety Show. Koreanovela Princess Hours was the Students' Choice of Foreign Soap and Salamat Dok (tied with GMA-7's Wish Ko Lang) as Students' Choice of Public Service Program. The Kapamilya network's sister station, Studio, 23, on the other hand, picked up three awards. Sineskwela was named Students' Choice of Education Program and Y Speak was the Students' Choice of Public Affairs Talk Show Program. 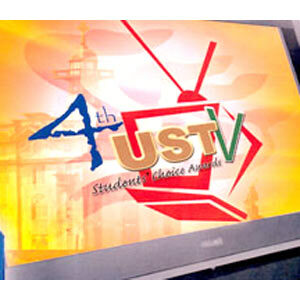 More importantly, Studio 23 was honored as the country's Most Responsible Youth-Oriented TV Station. Aside from Wish Ko Lang, which bagged the Students' Choice of Public Service Program, GMA-7 also won Best Magazine Program for Kapuso Mo, Jessica Soho and Best Documentary for I-Witness. The long-running Bubble Gang was adjudged Most Popular Gag Show while Slam Dunk was the Students' Choice of Full Animated Program. The high-rating Marimar was chosen as Most Popular Drama Series while its two lead stars, Marian Rivera and Dingdong Dantes, were named Most Popular Actress and Actor in a Drama/Miniseries.